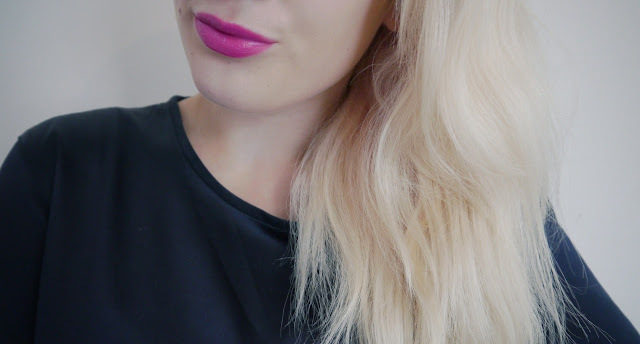 Anyways, I thought I'd do a review for y'all and let you know my thoughts on these products, Sleek has become infamous in the blogging world for high quality make-up at really affordable prices, each of these lipsticks cost me £4.99 and regardless of how they compare to their high-end alternatives, I think that's amazing value for money! This shade is such a pretty Barbie pink and I've been looking for something like it for aggges; it's the only lipstick I picked up that's a Sheen finish as opposed to Matte and I think I prefer this as it means that it doesn't need a base in order to not feel drying, although applying lip balm before lipstick is always a must for me. Fuchsia actually feels really moisturising and applies like a dream, its staying power is great and I wore it for a few hours without it fading, it was just necessary to reapply after eating. 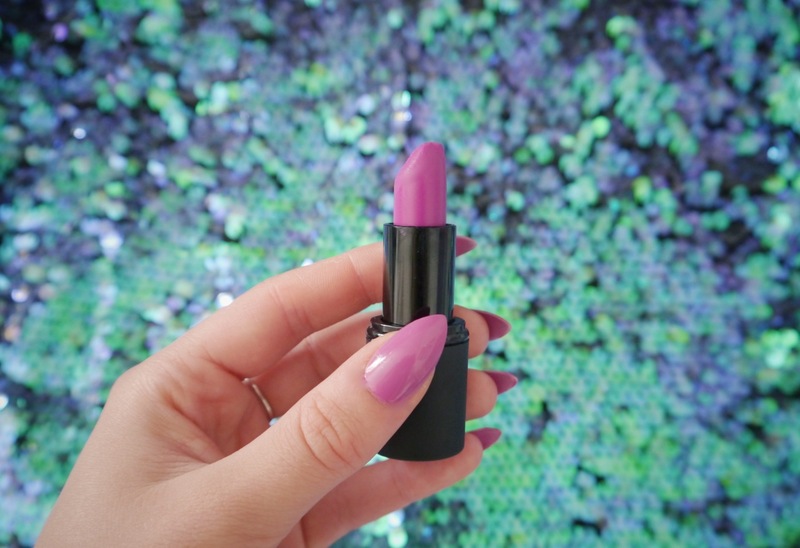 Overall I love the moisturising feel of this lipstick and the shade is perfect - I would definitely re-purchase it and for the price, you can't really go wrong! 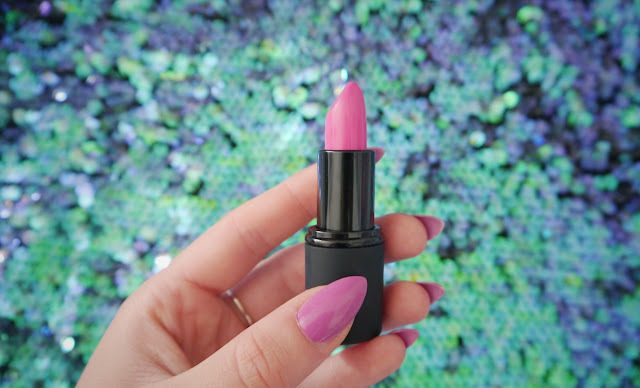 Out of all the shades this one is my favourite and I've barely stopped wearing it since I bought it! It's slightly more purple than it appears on camera but fades to a bright pink not dissimilar to Fuchsia. This shade is Matte and therefore can feel quite drying when applied, I really didn't like the feel at first, but applying a lip balm beforehand (I use Burt's Bees religiously) makes all the difference. I've found that the Matte shades last longer than the Sheen but also need to be re-applied after eating as I've found myself with that lip-liner type look as the colour rubs off towards the centre of your lips. Another thing I noticed about the two Matte shades, albeit probably because they're darker, is that they stain my lips quite badly, after wearing this shade all day and removing it, I've still been left with stained lips the following morning! It doesn't put me off particularly though as I love the colour of Mystic! I think this shade is my least favourite, it's a dark purple that I'm not convinced I can pull off! It's also the kind of shade it'd be better to wear a lipliner with, as it's such a contrast to the natural colour of your lips. 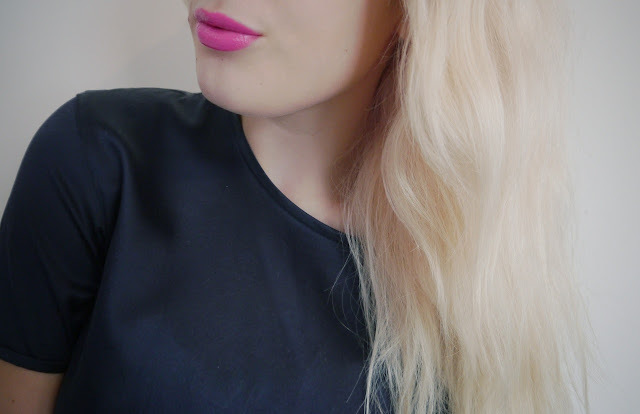 This shade lasts a while but fades quite unevenly in places to more of a pink shade and like the others, needed to be re-applied after eating to avoid the 'lip-liner look'. It also stained my lips, probably due to the darkness of the colour but nevertheless this could put people off. 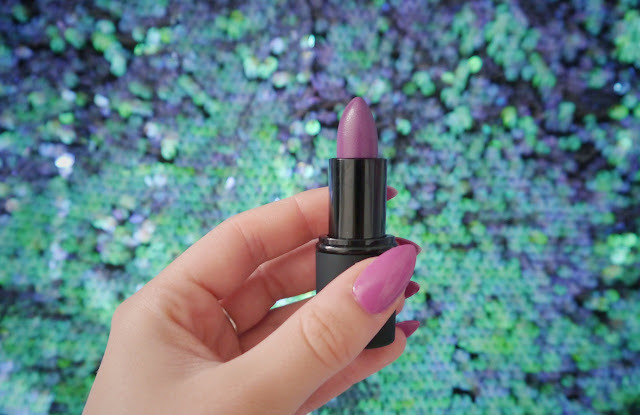 I think this is a fun shade to try but I don't think I'll be wearing it much as I don't think the colour particularly suits me, I would recommend this to others though if they wanted to try a purple lipstick and not break the bank, you may just need to invest in a lipliner too! Have you tried any of these shades? Your nails look amazing as always, the Fuchsia really suits you! These shades are both so beautiful on you, and I LOVE your nails! 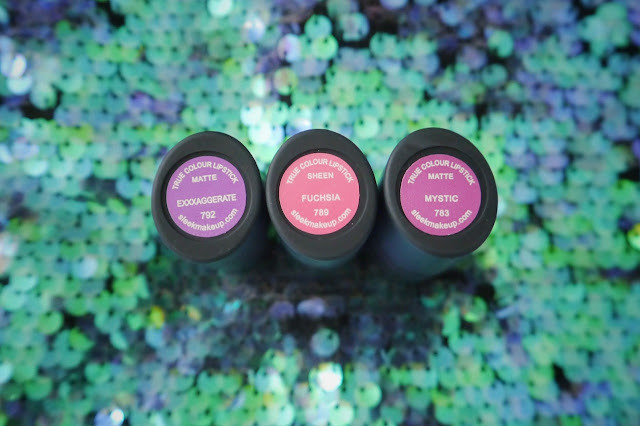 I love all three colors, but my favorite would have to be Mystic, it looks gorgeous on you. And your nails are amazing!! Oh I love these! So pretty. I am LOVING your stiletto nails and the fact that they almost perfectly match your lipstick! I followed you with GFC and Blog Lovin. Hope you can connect with me, as well!